The Apex glass top gas cooker comes with a scratch proof glass top which is designed in a way so that it won't cut your fingers. This product is equipped with an auto ignition for easy startup. 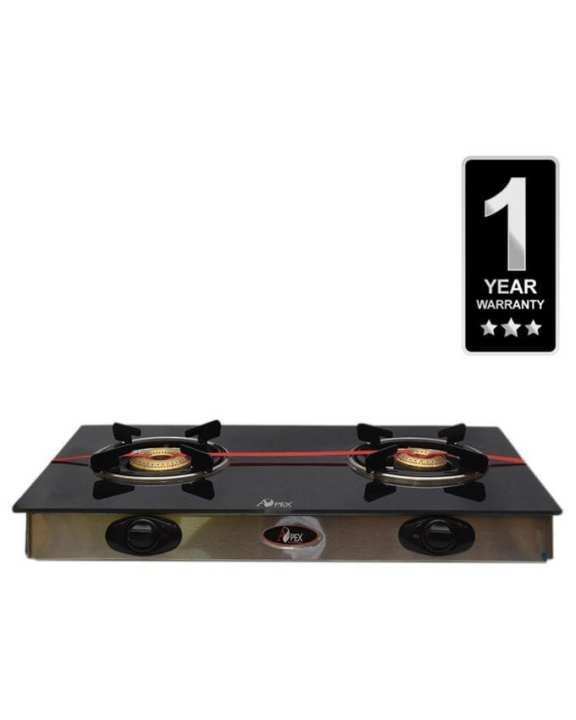 The Apex Mini Eco gas cooker 2MB features a double burner and stainless steel body for quick cleaning. Resulting in quick heating and faster cooking. The gas cooker is large in size while the stainless steel body is easy to clean and maintain. The Apex Jumbo Magic Gas Cooker is designed using the latest technology to meet global standards.